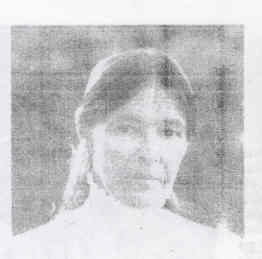 Bernadette Roberts was born and raised in the USA, Los Angeles to a Catholic family. She was a cloistered nun for nine years. She returned to the world after experiencing the "unitive state", the state of oneness with God, in order to share what she had learned and to take on the problems and experience of others. In the years that followed she completed a graduate degree in education, married, raised four children, and taught at the pre-school, high school, and junior college levels; at the same time she continued her contemplative practice. Then, unexpectedly, around 20 years after leaving the convent, Bernadette experienced the dropping away of the unitive state itself and came upon what she calls "the experience of no-self" - an experience for which the Christian literature, she says, gave her no clear road maps or guideposts. "It was only by investing no value in an experience that I was able to find out its truth or falsity. What is false never lasts; it falls away of its own accord, while what is true remains, because truth does not come and go -- it is always there. So long as our experiences come and go and we are investing in them our own values, thoughts and emotions, we'll never find out if there is any truth in them, for truth is what remains when there are no experiences left." "I'm always reluctant to use the word, God, because everybody seems to carry around his own stagnant images and definitions that totally cloud the ability to step outside a narrow, individual frame of reference. If we have any conception of what God is, certainly it should be changing and expanding as we ourselves grow and change. This is the very nature of our life's movement: to expand, to open up and blossom.... Whatever we care to call the ultimate reality, we cannot define or qualify it because the brain is incapable of processing this kind of data; thus we must every look upon words as mere descriptions of a man's experience -- the nature of which we do not really know." "The Christian path is the only one I ever lived,"
"I came across two lines attributed to Buddha describing his enlightenment experience. Referring to self as a house, he said, "All thy rafters are broken now, the ridgepole is destroyed." And there it was - the disappearance of the center, the ridgepole; without it, there can be no house, no self. When I read these lines, it was as if an arrow launched at the beginning of time had suddenly hit a bulls-eye. It was a remarkable find. These lines are not a piece of philosophy, but an experiential account, and without the experiential account we really have nothing to go on. In the same verse he says, "Again a house thou shall not build," clearly distinguishing this experience from the falling away of the ego-center, after which a new, transformed self is built around a "true center," a sturdy, balanced ridgepole."